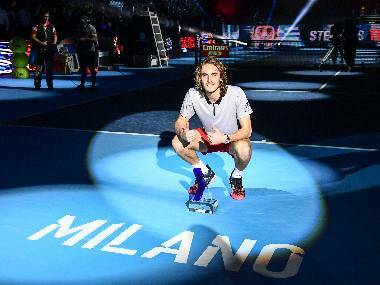 Stefanos Tsitsipas let go of his racquet as he sank to the floor of the Fiera Milano. It’s a celebration that has long been associated with the greats of modern-day tennis, and even the champions from the past. It’s become a symbol of excellence achieved after years of preparation and struggle. Tsitsipas’ falling to the ground was a celebration as real as it comes. Even if it was just for winning a title at an ‘exhibition event’. Taken at face-value, the Next Gen ATP Finals provides no ranking points, only a hefty paycheck — the 6-foot-4 Greek pocketed a sweet $407,000 for winning the second edition of the event, undefeated. But the tournament, which has been one of the biggest additions to the calendar, stands more for just the monetary gains. It’s a platform for the rising stars of the sport to make the final few strides into the senior division with ease. It has the atmosphere to give them every feel of being at a big tour event, even matching the same round-robin and knockout format that is used for the season-ending ATP Finals. The lights, the cameras are all the same. And so is the action. In the field of eight, seven of the world’s best U-21s descended upon Milan to provide the event with a strong field. It’s a stellar list of top 100 players — along with an Italian wild card, this year World No 619 Liam Caruana. Only the strongest in the week could make it past the group stage. World No 75 Jaume Munar, touted to be the next big player from powerhouse Spain, snuck into the semi-finals by winning more sets in the group stages than Polish World No 82 Hubert Hurkacz. 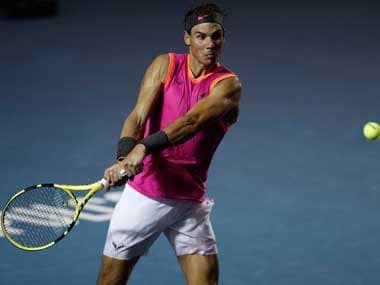 He finished fourth, but only after stretching Alex De Minaur (semi-finals) and Andrey Rublev (third-place playoff) to five sets in a manner that would have made his mentor Rafael Nadal proud. In third came Rublev, the runner-up from the inaugural edition last year. The Russian had a great start to the year, reaching the finals of the ATP event in Doha and shooting up to a career high 31 before a back injury forced him out of the tour for three months. His recovery isn’t quite complete, but in his performance at the Finals, the talent was unquestionable. The final was between two players who had received year-ender ATP awards. De Minaur, the baby-faced gritty teenager, was the tour’s best newcomer, and Tsitsipas was the most improved player. And they were indeed worthy finalists. The 19-year-old Australian was the youngest player in Milan. 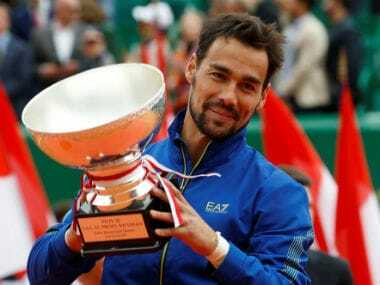 Ranked 31 in the world currently, the second seed had an impressive season, reaching the final of the Citi Open and later stretching Marin Cilic in the third round of the US Open. At the Next Gen Finals, he reached the summit clash after having his serve broken just once throughout the competition. And his performance — in particular his tenacious retrieving skills — won him much adulation. Including from a certain Rod Laver. The atmosphere at an event like the Next Gen Finals is designed to provide them with a look of what to expect, and what’s it’s like to be at a big tour event. It certainly did a world of good for the participants last year. Hyeon Chung, the champion, went on to reach the semi-finals of the Australian Open. Denis Shapovalov, still only 19, rose to as high as 23 in the world and has beaten the likes of Nadal and Juan Martin Del Potro — before even breaking into the top 100. Borna Coric, the semi-finalist last year, beat Roger Federer in the final at Halle and again at the Shanghai Masters and is the current World No 12. Karen Khachanov recently beat World No 1 Novak Djokovic in the final of the Paris Masters to rise to 11thin the world rankings. Meanwhile, Tsitsipas was an alternative last year, the champion this time around. Though the tournament was a test even for the youngsters, it was also an experimental ground for potential innovations: no let serve rule, hawk eye making the line calls and players having to get their own towels off a rack. However, they garnered mixed reactions. "To be honest with you, I'm confused myself. I don't really know what I liked and what I didn't like," Tsitsipas told Agence France-Presse after the final. The most telling change, however, was in the scoring system. In a regular tour event, a set is won at six games. Here it was four, with a tiebreaker coming in at 3-3. It provided no scope to stage a comeback if the serve was broken early on, and it threw open the competition. With the added pressure to hold serve, it further increased with the no-ad scoring which essentially provided a receiver with a break point even on deuce. “Definitely not the no-ad, I mean, guys like (John) Isner would be No 1 in the world. There's no way you could beat him,” Francis Tiafoe told Tennis World USA when asked about the rule. Though the format plays five-set matches, the reduced set-score takes away the effect. For upcoming players looking to make a mark on the Grand Slam stage, that’s the experience that was missing. Only at the Majors, and previously at the Davis Cup, are matches played in best-of-five-set. 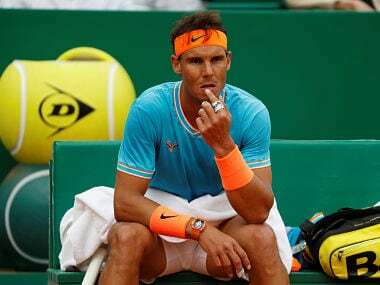 Though the Next Gen of players have been dominating the tour, they lack the experience of playing longer matches, which is what has kept them from excelling at tennis’ biggest stages. Chung is the only youngster to have reached as far as a semi-final of a Major. Not even World No 5 Alexander Zverev — the highest ranked Next Gen player has gotten that far. The 21-year-old has made it only as far as the quarter-final of a Major, at the French Open this year. That’s perhaps a lesson for the next edition of the season-ender. For now, the Next Gen Finals is reveling in its role of being the catalyst for the champions of the future to reach their goals. It gives them the experience and mental fortitude to be on the tour. Along with the idea, that they belong.